Tesla Motors said Wednesday it will begin European deliveries of its long-awaited mass-market Model 3 electric car from February. 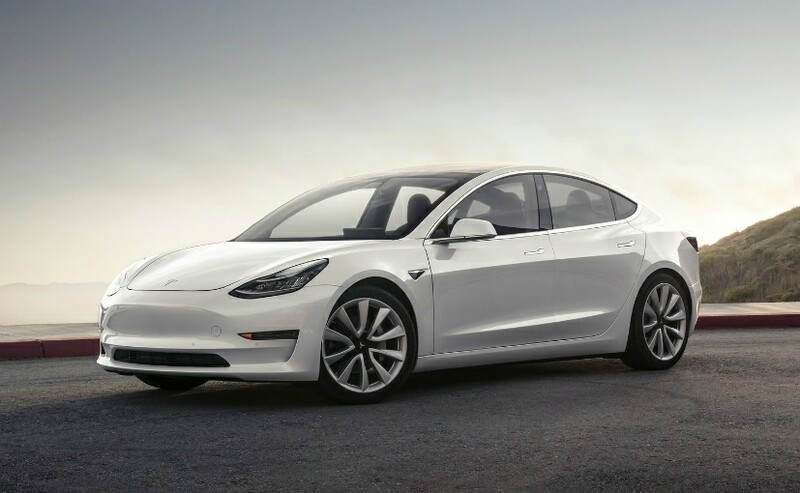 A spokesperson told AFP the first to take delivery would be customers who had reserved their Model 3 starting March 2016 if they confirm their order by January 1. Tesla Motors said Wednesday it will begin European deliveries of its long-awaited mass-market Model 3 electric car from February. A spokesperson told AFP the first to take delivery would be customers who had reserved their Model 3 starting March 2016 if they confirm their order by January 1. The spokesperson said customers would be invited to confirm over the coming weeks, starting Wednesday. Tesla's mid-size, four-door all-electric family car was first unveiled in its US home base in July last year. Controversial founder Elon Musk in October described the Model 3 as "the best-selling car in the US in terms of revenue and the 5th best-selling car in terms of volume." Musk, recently forced to step back from the role of chairman over a tweet in which he said he planned to take the firm private, says he wants to make the Model 3, which currently starts at around $50,000 (44,000 euros), a "mainstream product." Tesla now looks to have overcome production capacity concerns which have worried investors for months. Between January and September the firm said global deliveries of all models had reached 126,000 -- more than 53,000 of those coming in the third quarter. One is a long-range version delivering 544 kilometres (338 miles) on a single charge costing from around 60,000 euros before any incentives such as the "eco-bonus" in France worth 6,000 euros. A dual-motor Performance model starts from around 70,000 euros. Tesla has promised to supply much cheaper versions in due course, coming nearer to the initial $35,000 pricing.